Estonia. Kazakhstan. Norway. North Korea. These seemingly disparate countries have one thing in common: they share a border with Russia. With a land area of 6.6 million square miles, Russia is the largest country in the world, with the second-highest number of bordering countries (the first is China, also a neighbor). Throughout the 20th century, the borders themselves have shifted, expanded and contracted, with the rise and fall of the USSR. For this project, Gruzdeva kept a photo journal to record her journey and the people she met along the way. Her photographs and journal will be exhibited from February 19 through to April 30, 2016 at the Finnish Museum of Photography, as part of the Festival of Political Photography. Here’s a selection of photos from Gruzdeva’s fascinating project. Natalia, Malye Korely Village, Primorsky district of Arkhangelsk region. Ershovo village, Pskov region of Russia bordering with Estonia. Man in mask, combatant of the Alpha group, an elite Russian counter-terrorism unit. Tree decorated by bows for luck and happiness, according to a Russian tradition, Arkhangelsk region. 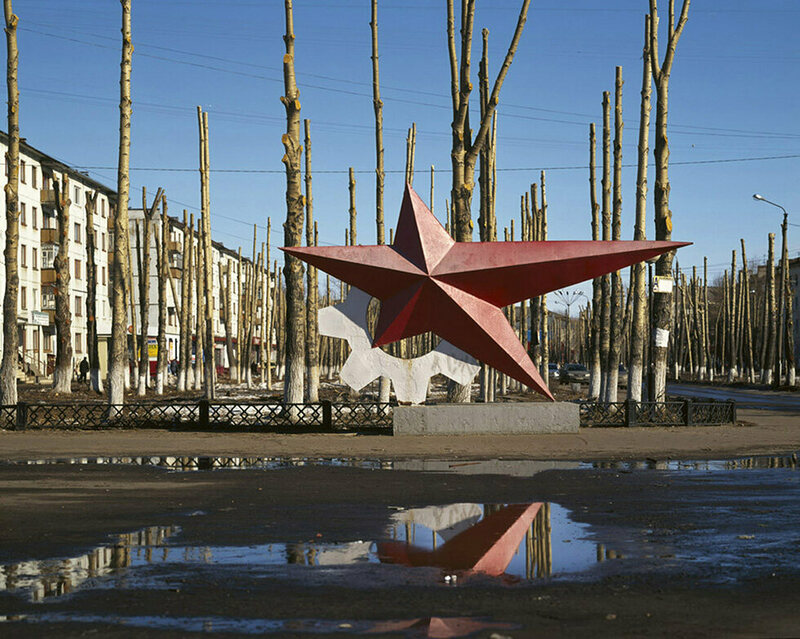 Hammer and Sickle monument, Vinogradnoe, Krasnodar region. Artem and Ilya, Novorossiysk embankment. Servicewomen, Border Guard Service learning centre. Shooting range, Border Guard base, Kaliningrad region. Tamitsa village, Onega district of Arkhangelsk region. Seascape, Azov sea, former Russia – Ukraine sea border. One American photographer's inside look at the Soviet Union in the 1970s.